Attention Deficit Hyperactivity Disorder (ADHD) is a manageable condition that affects approximately 5% of the world’s population. While many people consider ADHD to be a childhood disorder, ADHD is a complex lifelong neurobiological condition. 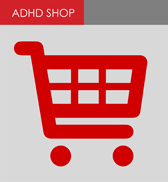 Download your copy of "About Adult ADHD"